3 Bedroom Link Detached House For Sale in Penzance for Offers in excess of £345,000. This beautiful 3 bed detached coastal home comprises; two reception rooms with exposed beams and multifuel burners, large sunroom, kitchen and storage or potential annex/workshop/studio on the ground floor. Upstairs comprise of three large double bedrooms and a family bathroom. Outside; the large garden has a patio area and approved planning permission to build a double garage and workshop or potential building plot. 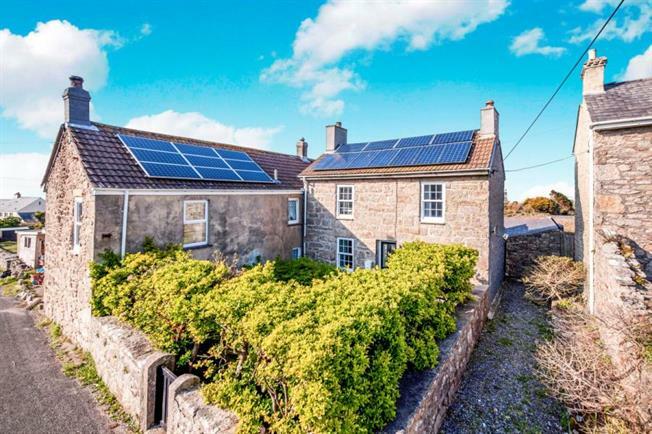 The property benefits from Biomass Heating System, Owned Solar Panels & Feeder Tariff.